When Dora Conroy, a Philadelphia antiques dealer, purchases a curious selection of auction items - objects she judges to be humorous novelties, she unknowingly becomes the deadly focus of an international smuggler. When robberies and death surround her merchandise, Dora seeks help from her intriguing upstairs tenant, former cop Jed Skimmerhorn. They discover a shadowy path leading across the continent to the smuggler, a man who will stop at nothing to recover his hidden riches. Like the treasures he craves, Dora and Jed find they are susceptible to his crushing grasp. This is the first Nora Roberts book I have ever read, and I have to say I was impressed. I normally only read historical romances, but this book grabbed my attention and held it till the very end. Awesome! The characters are intriguing the presentation is great! Thoroughly enjoyed this abridged version. The story was great! I found this to be an okay story to listen to. 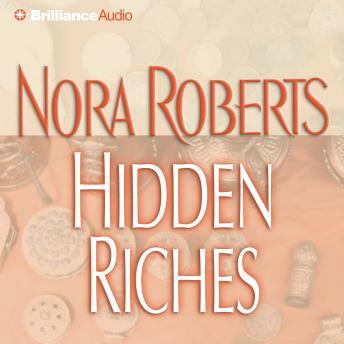 I'm not sure if it's one of Nora Roberts' best or if my lukewarm reaction is a result of the abridgement. The abridged version is contained on 3 disks and can be completed in a couple of long commutes. This book is horribly predictable and if you would like to have about five hours of your life ripped away...by all means get after it.